I used to wonder if this was the case, as I am just as involved as the next person within our technological world. However, I find myself more grateful for the capabilities technology offers us than resentful towards issues. You may say, well of course - you are a millennial, you are bound to feel this way. But, truly, my age is irrelevant. Regardless of when/how this advancement has happened and despite our opinion- it is here to stay. Our best bet is to make the most of it! Listening is and always will be an art. Good listening is a skill. Being a good listener is going to advance you in your professional endeavors. If you truly want to live more confidently, aware and successful...then start opening up your ears to others to develop good listening skills, and start doing it today! When you listen to others well, you are expressing gratitude, respect, and loyalty in the realm of business. I was sitting in a coffee shop one afternoon, lost in my own thoughts. I looked around me, and I noticed a pair of people sitting across the room. Their conversation seemed to thrive, and they both left the discussion more accomplished and knowledgeable than when they arrived. As the lady spoke, the man stared straight in her eyes the whole time. She was given the opportunity to speak from a place where the only voice that mattered was her's. The only conversation he wanted was with her. The most important thing at that very moment was every thought he had the privilege of experiencing from her. There was a joy that truly never left the woman's face. It seemed to say, Thank you. Thank you for listening. Thank you for hearing me out. Thank you for respecting my thoughts. I could not help but smile & laugh. Listening is a gift. I believe we all have our own way of defining what it means to "listen". I believe debating & wrestling with diverse subjects is extremely essential in conversation & growth in a personal business. We crave listening. At the very depths of what makes a human, a human (or perhaps not so far in the depths) is this desire to be understood. We desire to share our success, struggles, pain, triumphs, passions, fears, hopes, frustrations etc. with those who will take even just a moment to understand us. Think about how it feels when you are in the midst of conversation and person A, B, or C is not only hearing you but listening to you. Better yet, he/she wants to hear you and values your time. By giving this attention to another, we begin to understand the growth that comes from engaging with those in our same niche, struggles, experiences etc. As people, we are selfish. We are busy. Despite everything...despite that, we may understand the importance/value found in listening to understand and not necessarily to respond. Despite all of this, we still fail to listen well. Despite that, we are so distracted that we forget to stop, shut up & listen. Despite that it is so easy to believe listening has become a "lost art" and blame that on humanities lacking, technology influences etc. Despite all of this...if we simply stop, hear, and actively try to understand - we will always find new wisdom. We are all in this journey of life together. We are meant to grow with each other both professionally in developing a personal business and personally, too. Dedicate time for scrolling through Instagram, Twitter, Pinterest etc. if you have to. Nothing wrong with that! Especially if you are a blogger/creator and social interaction is simply part of the job. But, also dedicate time where you unplug and spend time being very present with those around you/even with yourself. Having designated time for both of these different objectives is very useful and allows you to really listen well with fewer distractions. Try and write in a journal at least every weekday (Monday-Friday). This allows you to get your feelings and thoughts out - so that your mind is not nearly as clouded. A clouded mind totally hinders listening abilities. Let yourself use this routine as an outlet to express your emotions. This may even allow you to organize your thoughts, feelings etc. so that when you share whatever you may be going through with someone else (which I definitely recommend entrusting a person with your struggles as well, not just in a journal) then you will be able to express your thoughts more fully/vividly. This is so important just in general for communicational growth. I have found making an intentional effort to stare the other person in the eyes not only enhances their desire to express thoughts to me, but also my personal ability to listen better to them. Take this into consideration even if it seems uncomfortable at first because it will totally grow your communication/listening skills. Eye contact is showing respect to the other individual. When you start to look at conversations with others as a regular, authentic opportunity to learn new wisdom - it totally enhances the process. This most definitely connects to running a business and engaging in outlets to be fueled by new knowledge. We should be seeking new wisdom, always and as often as possible. I mentioned this recently to my confident family. 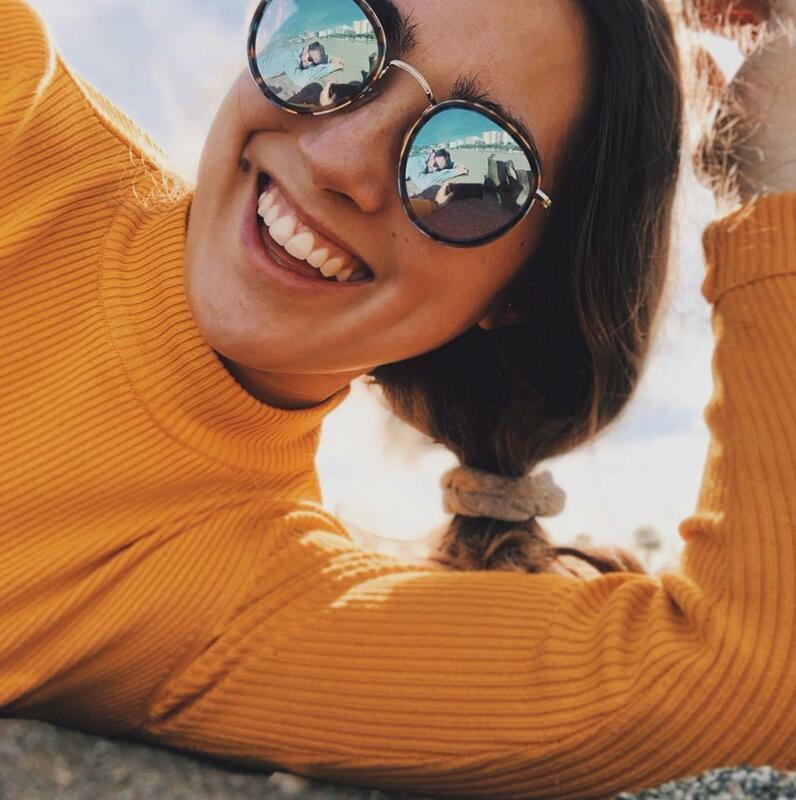 It is my hope, that this community is always connecting with others and learning new wisdom from Chica Confident. There is nothing worse than continuing in a conversation when you are confused. If you have not understood something said, then halt the conversation (politely) for clarification. When you continue on in a conversation confused, you will not be fully able to listen to what else is communicated. You will be so focused on what you did not understand, that it will be nearly impossible to listen well. Repeat what the other person has said, when responding, so you will be sure to have full clarity. This also shows the other person you were listening well, and honestly, this is the best feeling ever! There is nothing worse than having a conversation with someone and they are looking around, on their phone, showing boredom, acting uninterested etc. while you are speaking. Give others the same consideration and respect you desire. What if we challenged ourselves? What if we wholeheartedly attempted to follow these six tips, while incorporating the way certain sounds make us feel (see examples listed below) into our conversations? What if we actively practiced being a good listener? What a revolutionary change that would create in our professional & personal interactions! 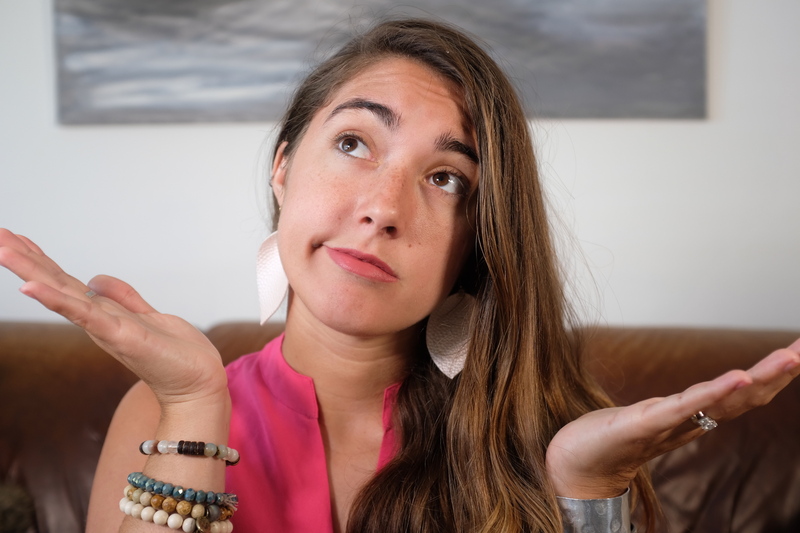 Let me give you a small exercise in regards to being a good listener...when you hear certain sounds it stirs emotion and you are swept up in the sounds, right? It gives you chills. It makes you cry, laugh, smile. It makes you feel empowered. Makes you feel alive and peaceful. It terrifies you. It overwhelms you. Why is that? Because you are engaging in listening! You are focused. You are allowing what you hear to take over your whole being. You are embracing it. Appreciating it. Understanding it. Pondering over it. Loving it. How do they make you feel? Write it down! Take what you have learned here and teach others how to be good listeners! We all can grow from being more proactive and intentional in listening to others well. I am thrilled to provide you with more value here at Chica Confident. Be sure to check out my courses and consulting packages. Speaking of which, I have EXCITING NEWS ✨...I currently have a discounted deal on this crash course. Definitely go check it out, if you are serious about getting paid to blog. Lastly, Subscribe to receive my weekly advice, tips, wisdom, motivation, freebies etc. Comment below if you have ever struggled with being a good listener. I have! 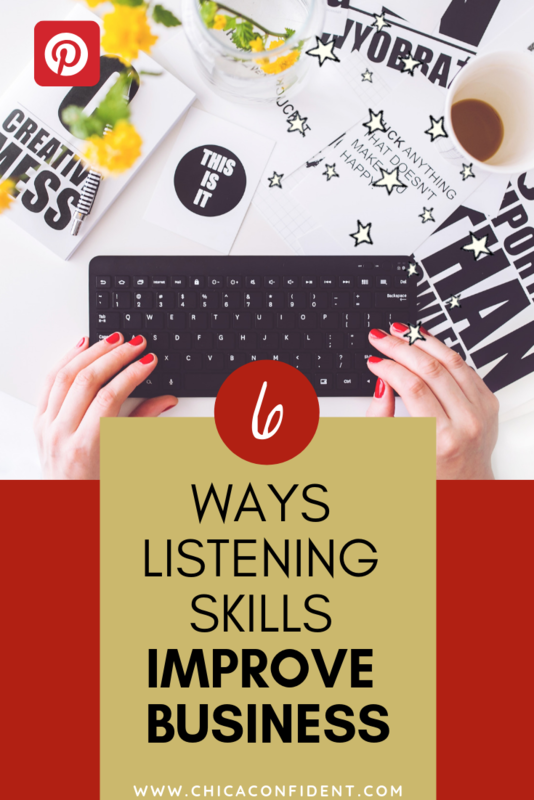 What are you doing to improve your listening skills? How can you more fully engage with other people? As a recap - here are six ways to have good listening skills, that you have learned today: turn off any distractions, designate time to write every morning/evening, keep eye-contact in your conversations, love the opportunity to seek new wisdom, ask questions and practice repetition. Apply the way you listen to sounds as added understanding. Based on my experience this is how I define listening: “The most incredibly underestimated gift freely given to a human. The ability to open your heart, mind & focus to another being or situation, in a way that will allow you to not only learn a fantastic amount of wisdom from others...but also about yourself." Today is all we have. Tomorrow will never be certain. I hope you - confident, boss peep - will make an effort to be a good listener. The first step to success is recognizing where you are wrong, actively choosing to make a change & then fighting for that change. We need to be strengthening our listening skills as often as possible. 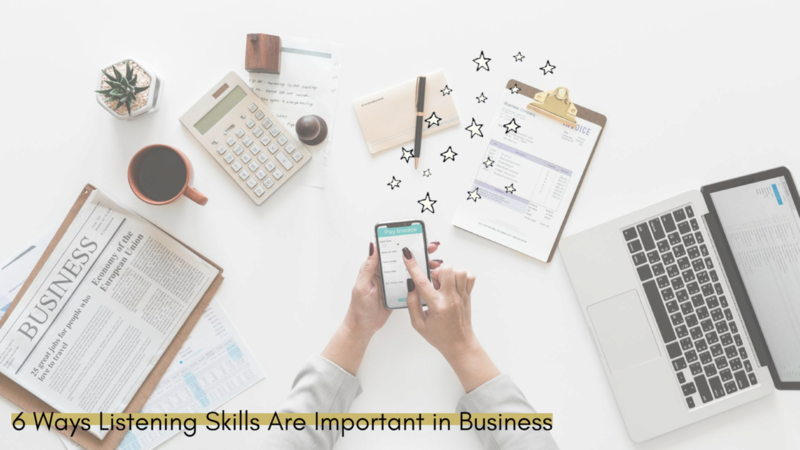 Pin this blog post so others can find value in these tips on having good listening skills in business! Stay connected with the confident family! Join my mailing list to receive the latest news, deals, advice, tips, freebies + MORE! Do not worry, your information will never be shared. YES, I WANT FREE WISDOM!